The new Star Wars Battlefront 2 single player trailer shows that the game’s women are total badasses. The proof of this is the newest single player campaign trailer from Star Wars Battlefront 2. The trailer begins with Iden Versio launching herself into space, escaping from enemies, even giving a mocking salute to her pursuers. A badass move, don’t you think? Some familiar scenes were then shown like the explosion of the second Death Star, Versio is told about the Emperor’s death and Operation Cinder is started. The Inferno Squad then goes on a rebel hunt even seeing Luke Skywalker. The similarities between The Last Jedai and Battlefront 2 doesn’t stop with both having badass women. Both actually hint about their protagonists making a 180 to opposite sides. To compare the movie ended with Kylo Ren reaching out his hand to Rey as if offering her to join the dark side. In the game, short scenes were shared were Iden Versio actually defies her father. We’d have to wait to know if all these would happen. Star Wars Battlefront 2 officially launches on November 17 available for PC, PlayStation 4 and Xbox One. Are you excited about the Star Wars Battlefront 2 style player campaign? Share your thoughts with us in the comments below. 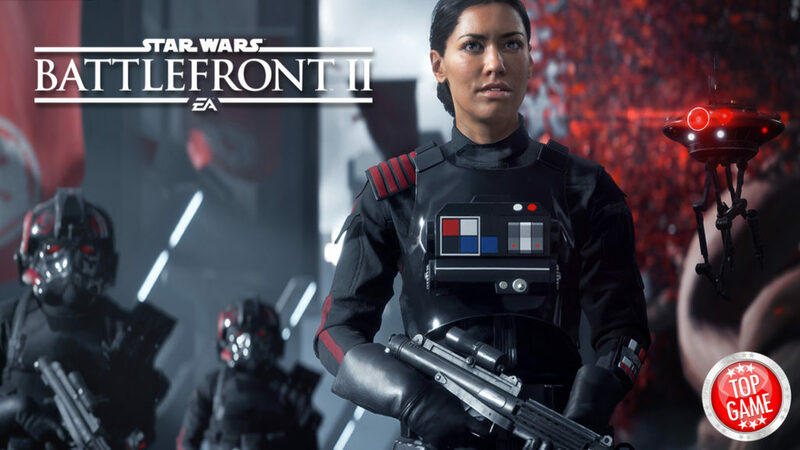 Beta testers of Star Wars Battlefront 2 beta were unhappy with the loot boxes as well as the progression that DICE introduced. These concerns were addressed.